Early on this year, as I watched my favourite Kpop band 'live' on TV and I told myself that I had to, HAVE TO, MUST watch them 'live' in person. 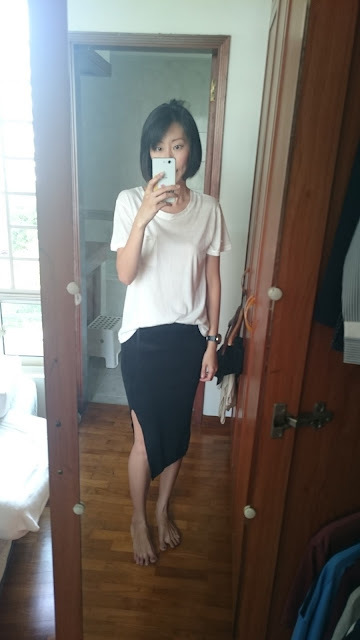 Best white t shirt, comfy and slouchy. But I was cool about it because it meant that no one will judge me when I scream and shout and dance! I thoroughly enjoyed myself and to think that I actually attended one of Korea top boy band's concert, I am MADE.